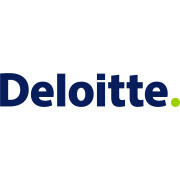 Through finanical support from the USAID and targeted technical assistance, Deloitte supports the improvement of trade-related policies, helps to build the capacity of Pakistan’s people and institutions and supports the implementation of trade-oriented industrial zones in some of Pakistan’s most challenging environments. Component 3 remained inactive and USAID re-aligned program activities away from this component in Project Year 3. Developing capacity, particularly for Government of Pakistan (GOP) institutions engaged in trade policy and regulation, such as the Ministry of Commerce (MOC), which includes the Trade Development Authority of Pakistan (TDAP) and the National Tariff Commission (NTC) and Pakistan Customs. Engaging the private sector to influence reform on policy issues and innovations in selected aspects of regulation, infrastructure, and financing, particularly those that influence logistics performance. Increasing women’s participation in export trade by engaging with women’s trade bodies through training, suitable internships and access to information. Rawalpindi Chamber of Commerce & Industry (RCCI) is considered one of the finest business forums of the country. 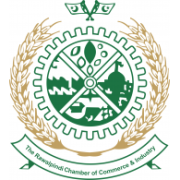 Established in 1952 and recognized in 1959 by the Government of Pakistan, Rawalpindi Chamber is the third largest chamber of Pakistan and proudly serving approximately 5200 members from a large business spectrum. Members of this esteemed organization range from Large Scale Manufacturers to Home based Small Businesses (Cottage Industries). The chamber strives to fulfill its duties towards development and empowerment of commercial, Industrial and Economic activities in the region.